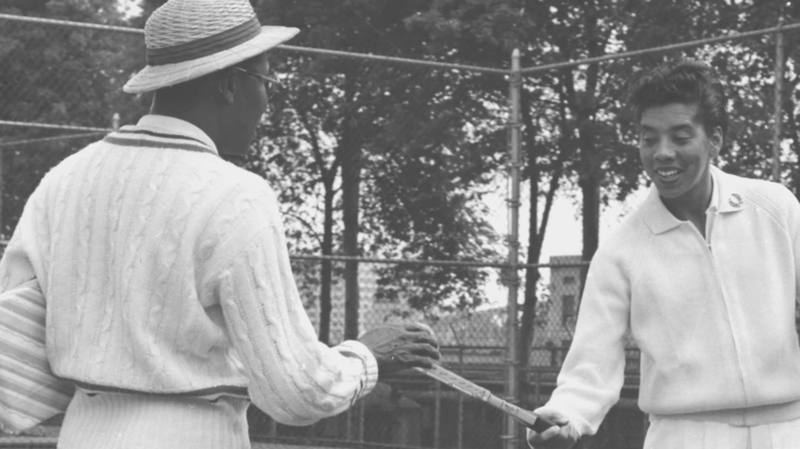 Althea Gibson, a truant from the rough streets of Harlem, emerged as a most unlikely queen of the highly segregated tennis world of the 1950's. Althea’s life and achievements transcend Sports. Her roots as a sharecropper’s daughter, her family’s migration north to Harlem in the 30’s, her mentoring from Sugar Ray Robinson, David Dinkins and others, her fame that thrust her unwillingly into the glare of the early Civil Rights movement, all bring the story into a much broader realm of African-American History. ALTHEA aired on American Masters/PBS on Sept. 4th, 2015 and has been touring the country on the festival/specialty screening circuit to great audience and critical response awarded the Grand Jury Prize for Best Documentary at the 19th ABFF (American Black Film Festival) June 14th at the Hilton/NYC. William Rhoden in the NY Times: "I have watched “Althea” three times...With each viewing of “Althea,” I also came away with an unshakable sadness."